I guess some old habits die hard, even for the undead. Aw, yet another romantic tale from beyond the grave. Yikes! A gory comic strip arrives despite the ongoing computer troubles. Since last time I’ve even had to adopt the good old vacuum cleaner trick to cool down my CPU. This thing above will also be the huge twist ending to The Walking Dead. Oops, spoilers! Here’s a new comic! I somehow got around to making this one even after getting exhausted from playing paintball/partying this weekend. You will be glad to hear that all my hours spent in Call of Duty did indeed finally pay off! I guess the my main incentive for making this strip were the ridiculous expressions – I am not ashamed to admit that all them were acted out in the bathroom mirror, mostly as “preparation” and “research”. 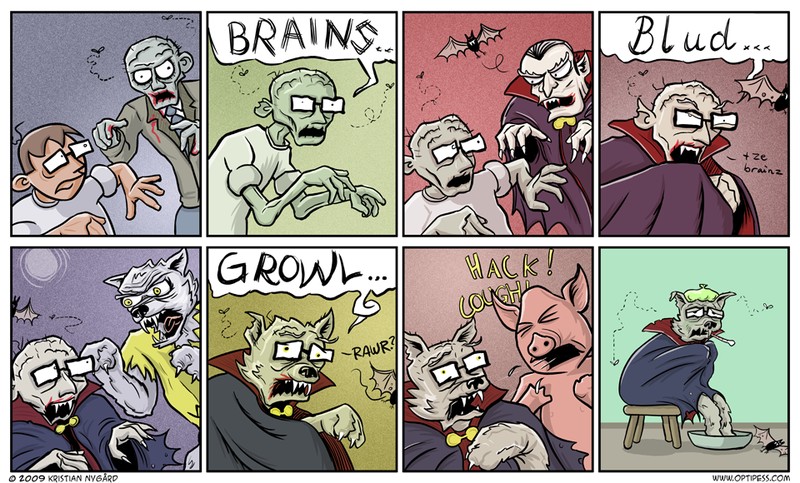 Ah, zombie jokes and desert island jokes – finally combined into one entity. The Zombot infection spreads as dodgy firmware through open Bluetooth connections. Secure your hardware now, before it’s too late! Silliest comic in a while! 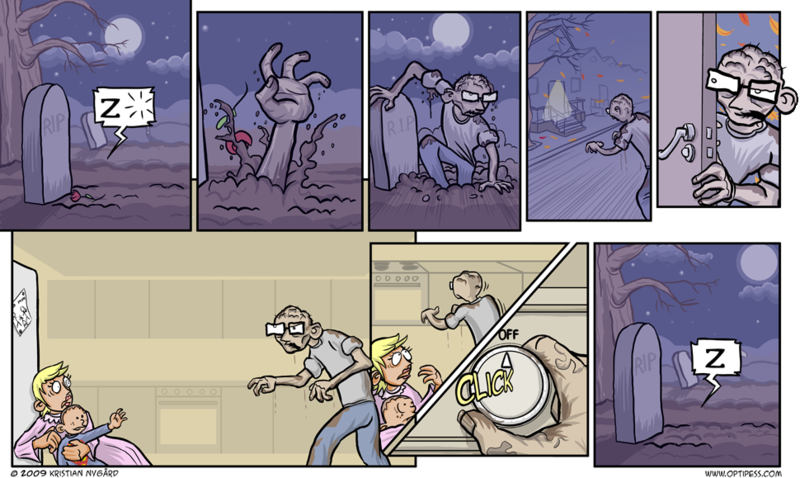 Will head into “darker” stuff for Friday’s strip, though.